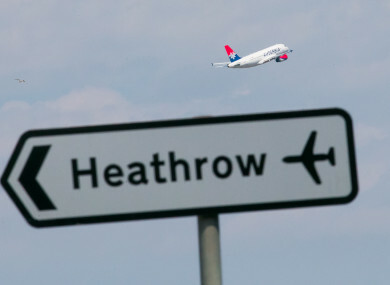 HEATHROW AIRPORT HAS said it has launched an internal investigation after a memory stick containing extensive security information was found on a London street by a member of the public. The USB drive contained dozens of folders with maps, videos and documents – some marked confidential or restricted – detailing security at Europe’s busiest airport, according to the Sunday Mirror newspaper, which first reported the incident. The airport said the breach led to an immediate review of all security plans and it was “confident that Heathrow remains secure”. The incident comes as Britain’s threat level remains at severe following a series of deadly terrorism attacks this year. Heathrow, Britain’s biggest airport which handled nearly 76 million passengers last year, is considered a prime target for terrorists. The airport spokeswoman said safety and security were its “top priority”. “The UK and Heathrow have some of the most robust aviation security measures in the world and we remain vigilant to evolving threats by updating our procedures on a daily basis,” she added. Email “Heathrow launches probe after USB stick with security info found on London street”. Feedback on “Heathrow launches probe after USB stick with security info found on London street”.